I’m pretty sure I have been boring people rigid for a couple of months about my ‘top down’ gloves or mitts. I don’t know where the idea came from but I was trying to knit a pair of fingerless mitts out of just one ball and I didn’t know how long to make the cuff before I started on the hand. I could only find one top down pattern and it was a bit too patterned for me so I decided to work it out for myself. 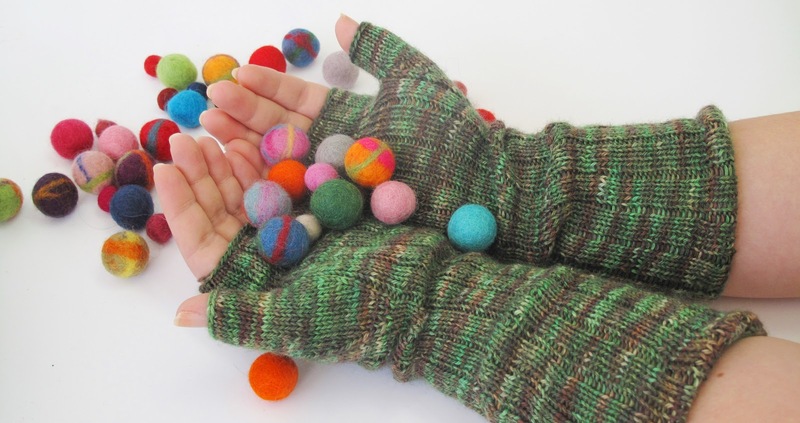 This is how my obsession with my Knuckle Down pattern began. 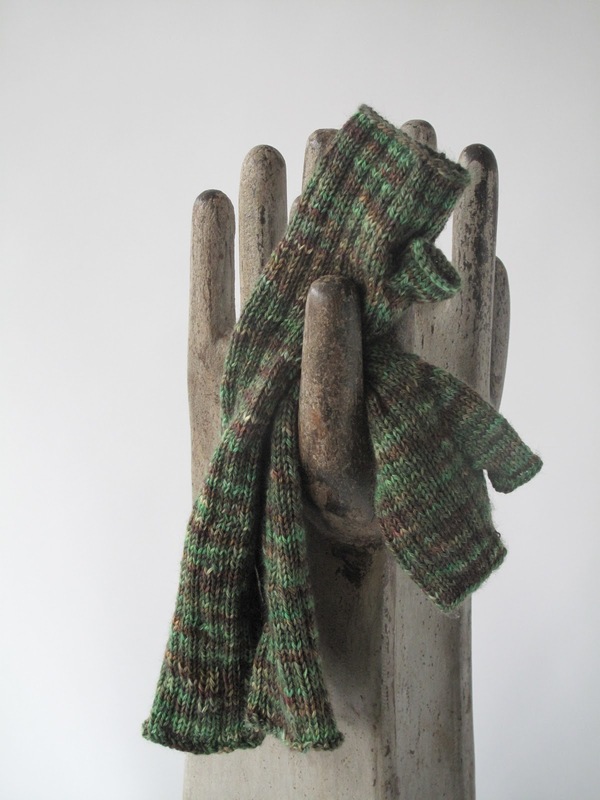 I started in Gomitoli’s Tweed which is a wonderful mix of Cashmere and Lambswool in a fantastic range of colours. I quickly realised that a provisional cast on would be required to make the thumb sit properly. 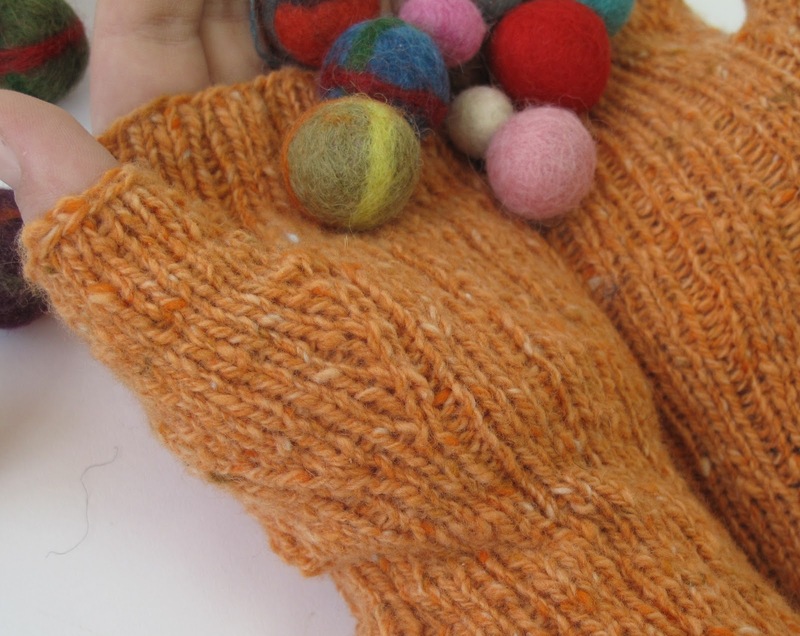 Then, because I really like my gloves to fit on the wrist, I used different sizes of dpns to give them an elegant shape.